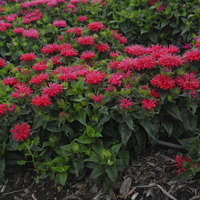 A profusion of unique star-shaped flowers about 2 inches wide are produced on compact plants. They can vary in color from bright yellow-orange to near red, and are always heavily spotted with red. The foliage is sword-shaped like that of a tall bearded iris. 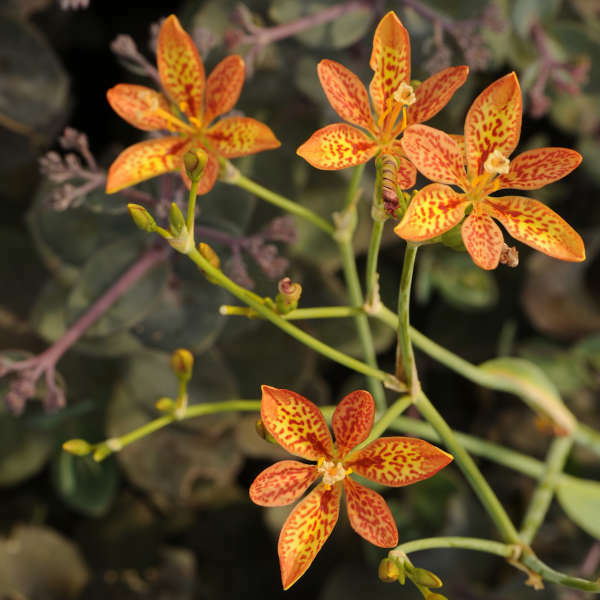 Belamcanda blooms for weeks in late summer, and its season of interest is extended into fall with the interesting seed pods which develop. Tan, pear-shaped pods burst open to reveal clusters of black seeds resembling blackberries, hence the common name. 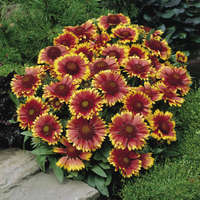 They are persistant thru the winter and are attractive in fresh or dried flower arrangements. 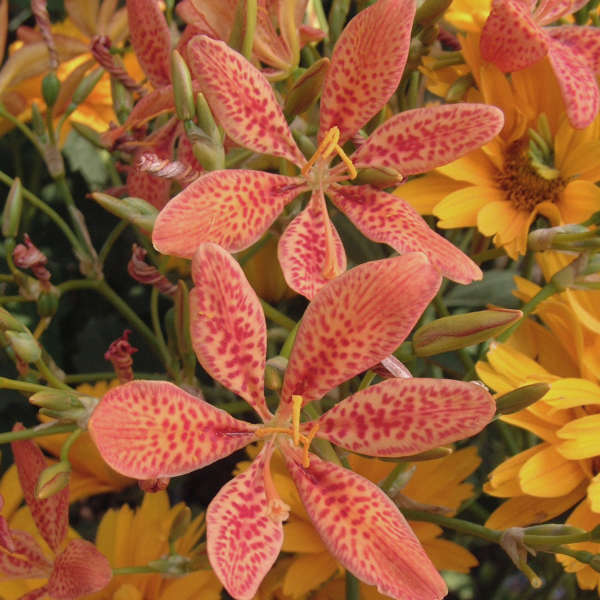 Plant Belamcanda in full sun and well-drained soil. 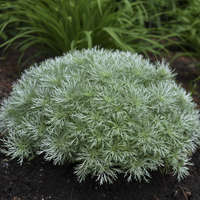 It especially detests soil that is wet in winter. This plant varies in height depending on the soil conditions. 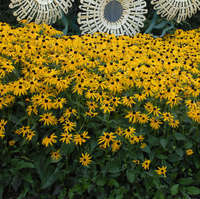 When grown in poor, dry soil, the height of the flower stalks will be about 24". 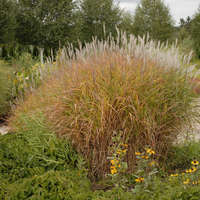 However, if the soil is rich and moist, they can grow up to 48" tall and will require staking. A heavy layer of mulch is suggested for northern winters. For best results, divide in early spring.